Five years ago, Khaled El Ali’s home in Syria was destroyed by a bomb. 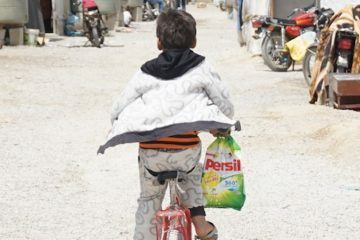 He moved from place to place with his wife, finally relocating to small settlement in the Bekaa Valley, Lebanon. 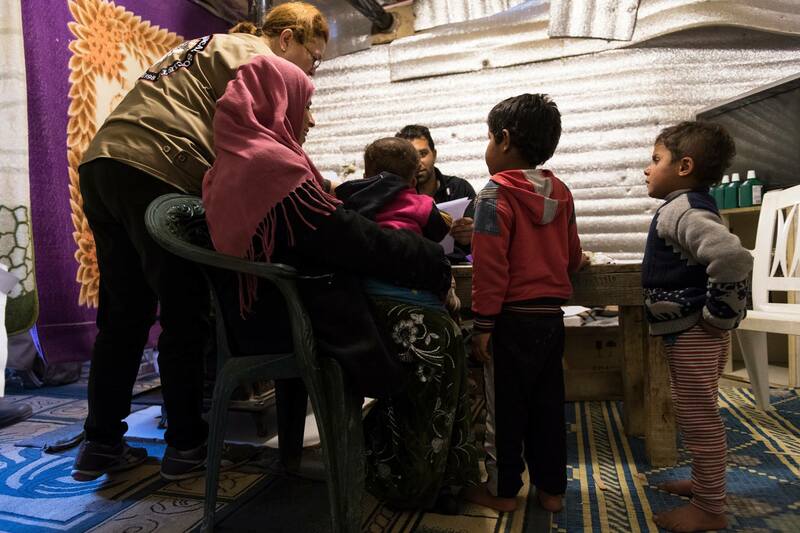 There, Khaled lives alongside 20 families who fled from different regions in Syria, searching for refuge and protection in this small area of Lebanon. The settlement is surrounded by trash, as well as a polluted water source – there is little comfort or sanitation inside the settlement. 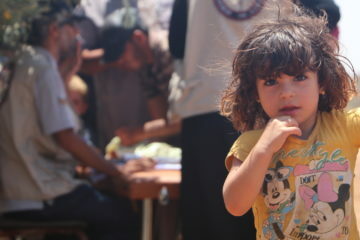 The residents fled from Syria with only their clothes, and 97% of them live below the extreme poverty line. Their limited, nearly non-existent income, is insufficient to meet even the most basic needs, including foods and health care. 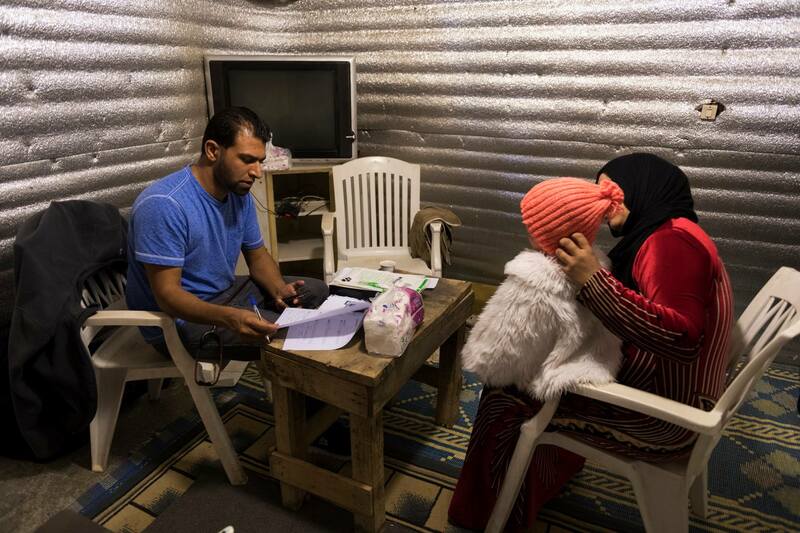 Khaled was informed of the SAMS medical mission to Lebanon through one of our partners on-the-ground in Lebanon. Khaled volunteer to support the mission by providing his tent as a “doctor’s office” – a place for the doctors to receive patients. During our visit, Khaled described to us the situation of health needs for refugees in the camp. He mentioned that most of people living in the settlement suffered from health problems including chronic disease and gynecological disease for women. “Pharmacies are so far away from here, approximately 5 km in distance and 2 hours walk by foot,” he said. Due to the lack of income, patients cannot afford consultation or transport fees. For refugees, the lack of residency papers also presents a significant barrier. 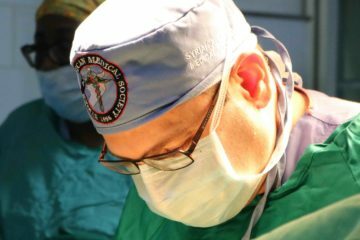 The OBGYN mission was the first mission impacting Khaled’s settlement. Thanks to his generosity and kindness, SAMS was able to spend three days there providing direct consultations and free medications for primarily female refugees.